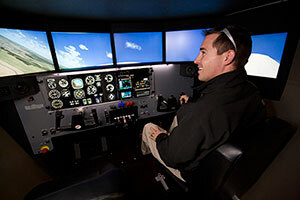 We’re proud to help flight schools and independent instructors provide the best simulator training possible. If your flight school needs the enhanced training that a Redbird MCX can provide, consider partnering with us. Please contact us to learn more. Looking for an instructor? We work with the following experienced, independent flight instructors who are familiar with the ins and outs of our Redbird MCX. Alpha Flight Simulation Takes Off!